Smart building management and control are adopted nowadays to achieve zero-net energy use in buildings. However, without considering the human dimension, technologies alone do not necessarily guarantee high performance in buildings. An office building was designed and built according to state-of-the-art design and energy management principles in 2008. Despite the expectations of high performance, the owner was facing high utility bills and low user comfort in the building located in Budapest, Hungary. The objective of the project was to evaluate the energy performance and comfort indices of the building, to identify the causes of malfunction and to elaborate a comprehensive energy concept. Firstly, current building conditions and operation parameters were evaluated. Our investigation found that the state-of-the-art building management system was in good conditions but it was operated by building operators and occupants who are not aware of the building management practice. The energy consumption patterns of the building were simulated with energy modelling software. The baseline model was calibrated to annual measured energy consumption, using actual occupant behaviour and presence, based on results of self-reported surveys, occupancy sensors and fan-coil usage data. 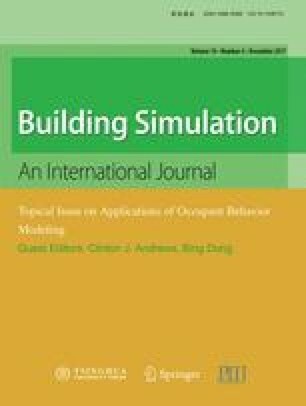 Realistic occupant behaviour models can capture diversity of occupant behaviour and better represent the real energy use of the building. This way our findings and the effect of our proposed improvements could be more reliable. As part of our final comprehensive energy concept, we proposed intervention measures that would increase indoor thermal comfort and decrease energy consumption of the building. A parametric study was carried out to evaluate and quantify energy, comfort and return on investment of each measure. It was found that in the best case the building could save 23% of annual energy use. Future work includes the follow-up of: occupant reactions to intervention measures, the realized energy savings, the measurement of occupant satisfaction and behavioural changes. Authors would like to express their gratitude to ABUD Ltd., and especially to Kornél Döme Deme, for providing support, necessary equipment and software products for the research project. The present work benefited from the help of the owner of the office building used as a case study. This work was also supported by the Assistant Secretary for Energy Efficiency and Renewable Energy of the United States Department of Energy under Contract No. DE-AC02-05CH11231. The presented work is part of the research activities of Annex 66, under the International Energy Agency’s Energy in Buildings and Communities Program.